Several stations at Tagansko-Krasnopresnenskaya and a part of Zamoskvoretskaya line will be closed this Saturday, August 15. A part of the Violet Metro line from Vykhino to Zhulebino stations will be closed during the day. The temporary closure is necessary to prepare the Kotelniki station for the commissioning. Passengers will be able to use free buses to get to the closed stations. 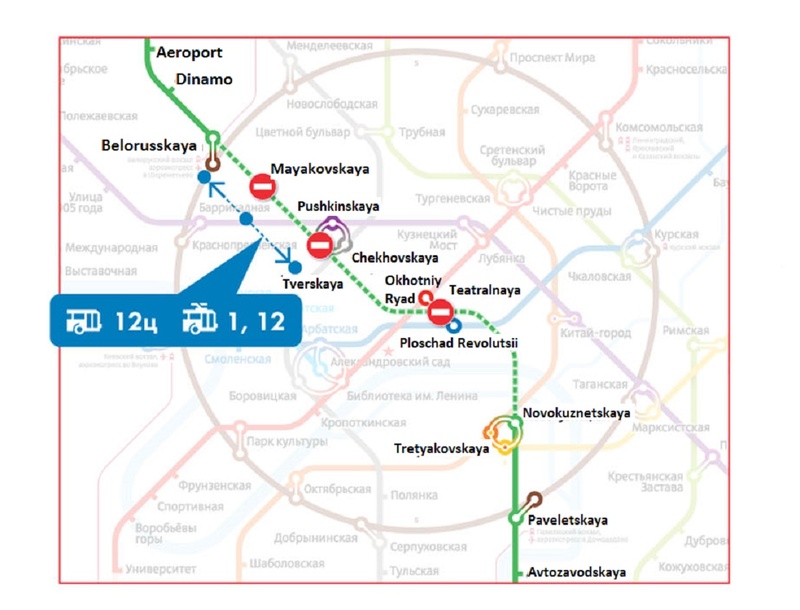 Besides, Zamoskvoretskaya line from Belorusskaya to Novokuznetskaya stations will be also closed on August 15, due to overhaul the ways. 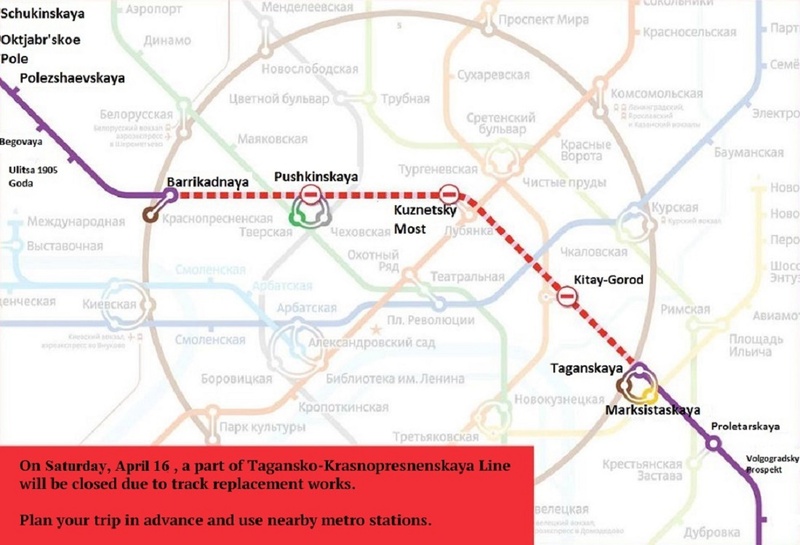 Thus, Mayakovskaya, Tverskaya and Teatralnaya stations will be closed to passengers. 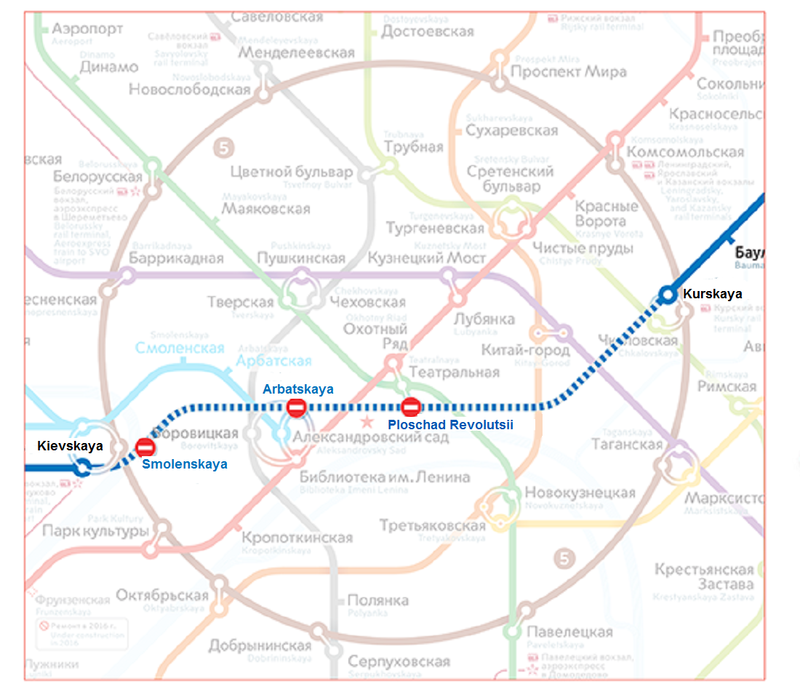 Trains at Zamoskvoretskaya line will run only from Rechnoy Vokzal to Belorusskaya and from Novokuznetskaya to Alma-Atinskaya station. Passengers are advised to use nearby stations as well as the ground transport instead of the closed metro stations. For passenger’s convenience number of trolley buses operating on routes №1 and №12, and busses №12Ц will be increased. The closed stations will resume their work on Sunday, August 16, at 5 hours and 30 minutes.